When watching anthologies of Looney Tunes cartoons, one might be confused as to why several of the cartoons are called Merrie Melodies. The reason is that there was once a difference. The Looney Tunes series first began in 1930. 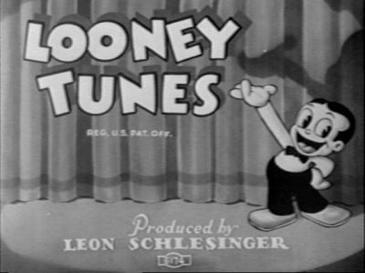 It proved to be a success, and so, producer Leon Schlesinger decided to sell a second series of cartoons to Warner Bros. The point of this new series was to promote songs that Warner Bros. owned. Previously Warner Bros. created a series of live action shorts called Spooney Melodies. This series was not a success, and only one entry, “Crying for the Carolines” is known to still exist today. These shorts were essentially early music videos. 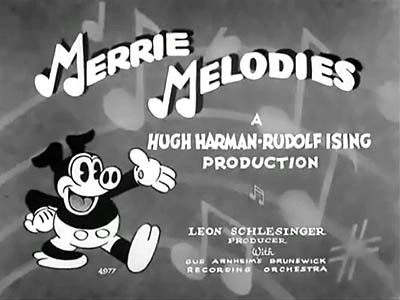 The series that would replace the Spooney Melodies was an animated series of shorts called the Merrie Melodies. 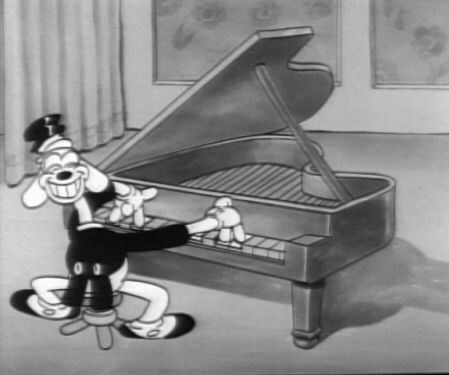 Each cartoon was intended to serve as a promotion of a specific song owned by Warner Bros. The plot and characters would be created from the song, and the goal was that these cartoons would encourage members of the public buy phonograph records and sheet music of the songs. The first Merrie Melodies short, Lady Play Your Mandolin was released in 1931, and it was inspired by the song of the same name. It featured a character known as Foxy, who is noteworthy for looking exactly like Mickey Mouse, but with a bushy tail and pointy ears; he appeared in two other Merrie Melodies shorts, and was discontinued after that. 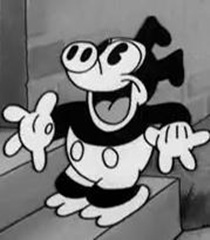 The next starring character that was created was for the series was Piggy, who was essentially, Mickey Mouse as a pig; he had a girlfriend named Fluffy. He appeared in two shorts, and was dropped. Finally, after several shorts containing one-shot characters (characters used for only one short and never used again), a new character was created in 1932: Goopy Geer, a tall humanoid dog. He bears a strong resemblance to the Disney character Goofy, who debuted the same year. Goopy appeared in three shorts, but suffered the same fate as Foxy and Piggy, and was discontinued. 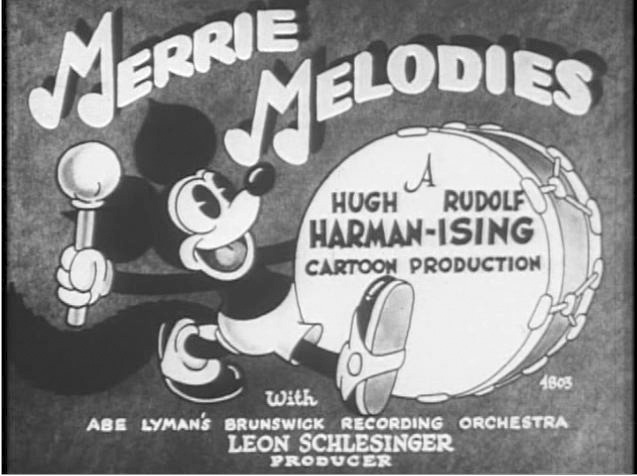 After this, the Merrie Melodies became focused on having non-recurring/one-shot characters, as well as serving as promotions for their title songs. 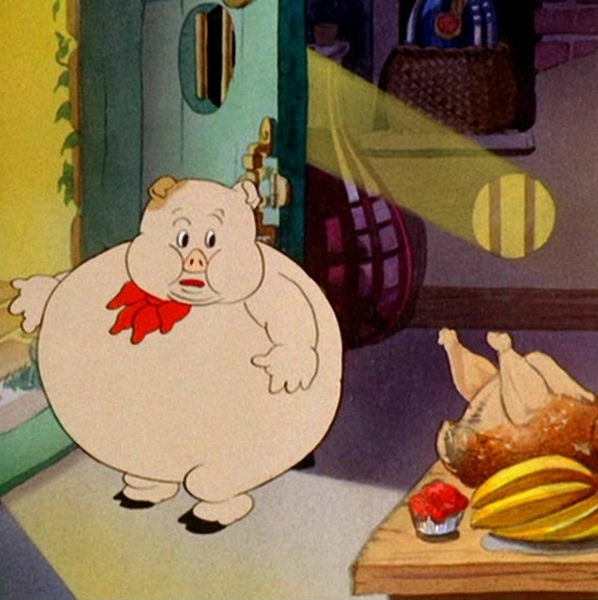 The Looney Tunes were based around recurring characters. In 1934, the Merrie Melodies were produced in color for the first time, moving to color permanently, at the end of 1934. The Looney Tunes continued in black-and-white until 1942, and permanently in 1944. By the late 1930s, the Merrie Melodies stopped focusing on promoting songs, though they remained one-shot cartoons for the most part, including recurring characters such as Egghead, Elmer Fudd, and Bugs Bunny who would be introduced in the next few years. In 1944, the after the Looney Tunes moved completely to color, the two series became the same. Characters who appeared on series appeared in the other.